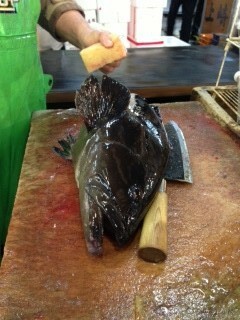 The live fish, it is a kelp bass. It is a very beautiful fish. It shines from the inside. It seems to hear "It is delicious" from the inside.